Trusts can be set up either during your lifetime or through your will to overcome taxation or personal issues. For example, you may not wish your children or grandchildren to inherit at a young age. In this case, a trust can be created with trustees who look after the assets for the beneficiaries, either for life or until they reach a certain age. 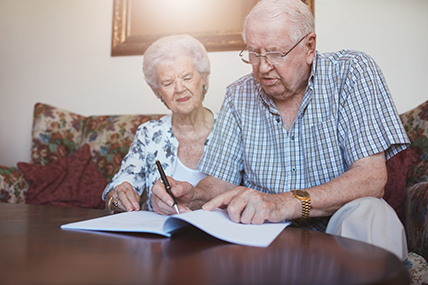 You may wish to provide for someone during his or her lifetime but maintain control over the destiny of the trust capital or if you have surplus cash or assets you can create a tax efficient trust to reduce the impact of inheritance tax on your estate. This is a complex and constantly changing area of law. Our specialists give clear, up-to-date, professional advice on how to plan ahead for your future and that of your beneficiaries. If you have a mentally or physically disabled child that you want to ensure has a safe financial future, then the best way to deal with their inheritance would be to put it into a Disabled Discretionary Trust. This type of discretionary trust is set up by parents or other relatives as part of their Wills. Assets in the form of money, property, shares or any other assets can be put into the trust as a way of making long-term financial provision for your disabled child. The reason this type of trust is useful is that assets, once put in trust, do not belong to the "object" of the trust (i.e. disabled son or daughter who is the intended beneficiary). This means that the capital held in the trust is not taken into account when the local authority makes their assessments regarding your child's future entitlement to state benefits like Income Support or local authority obligations to fund care. Sadly, after parents have died, some adult children fight over how to divide up possessions or whether to keep or sell those precious family heirlooms. In most cases, however it’s not monetary value that causes these family feuds, but the sentimental value of things such as photographs, personal effects, or jewellery. A simple Discretionary Trust can prevent family disputes regarding those precious family heirlooms and can ensure that they continue to be handed down through the generations.